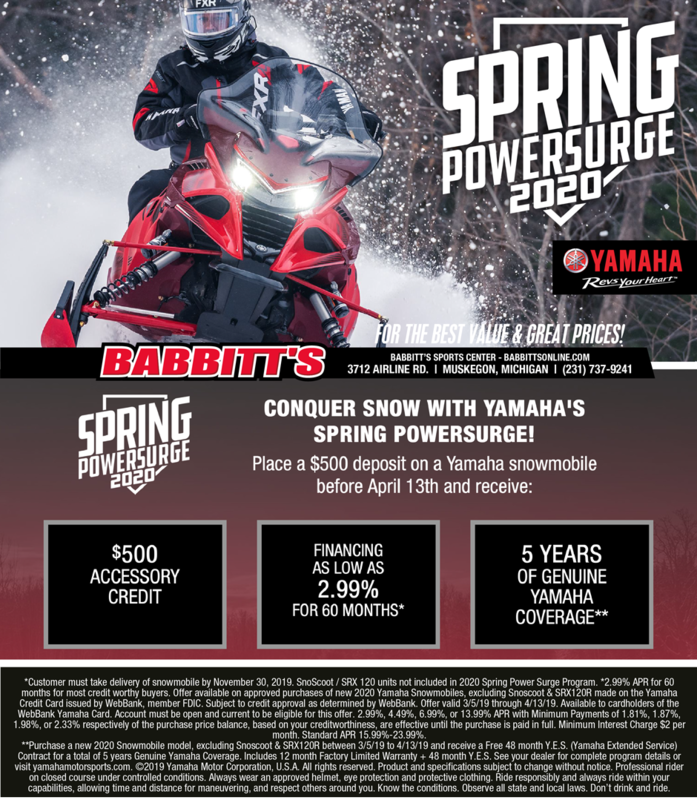 Yamaha offers the snowmobiles, Babbitt's offers the best prices. To get exclusive access to customize your snow check snowmobile, call us at 231.220.2127, email us, or fill out the form below to request an out-the-door price on your next Yamaha snowmobile. We will follow up and discuss all the options available for the Yamaha snowmobile(s) you're interested in.